On Saturday February 2, 2013 the indie rock world was sent into hysteria as My Bloody Valentine suddenly announced that their follow-up to the classic Loveless was finally going to be released… that night! Twitter was abuzz with the news that sent thousands of fans to the band’s website only to see it crash with the amount of traffic coming to download their first offering in 22 years. After overcoming the website’s deficiencies, fans then discovered that a download of the 9 song album would cost $16 and a physical CD shipped to your door in Canada would be a staggering $27+. If people wanted it, they were certainly going to pay for the self-released album. m b v starts off on the slower, murkier side of MBV’s trademark sound – a wall of woozy/disorientating guitar noise with buried vocals. Much like running through sand, the first three tracks (including first single “Only Tomorrow”) trudge along without much light shining through the first 18 minutes. “Is This and Yes” then breaks the mould. Perhaps Kevin Shields’ time spent in Primal Scream influenced this as the organ melody sounds like it could have come off of that band’s classic Screamadelica album. From here, m b v really starts to shine. “New You” is an almost conventional indie pop song featuring Belinda Butcher’s finest vocals on the album. Several minutes later, listeners are bludgeoned with the thundering drums of instrumental “Nothing Is”. In between is the best track on m b v, “In Another Way”. With a lightness of touch missing from the first few tracks, the dense wall of guitars are back but the vocals are pulled a bit more into the foreground. Halfway through, an uplifting bagpipe-like melody is played off and on for the final four minutes which feels like they could go on forever and never get old. The night that m b v was released will be remembered as one of the biggest musical announcements, and certainly the most welcome surprise of 2013. Much like what Portishead did in 2008 with Third, My Bloody Valentine added a very worthy addition to their discography. 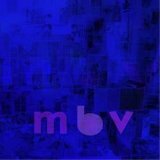 m b v is what it is, a good (sometimes great) album by a legendary band released 20+ years after their heyday. That in itself is reason to celebrate.